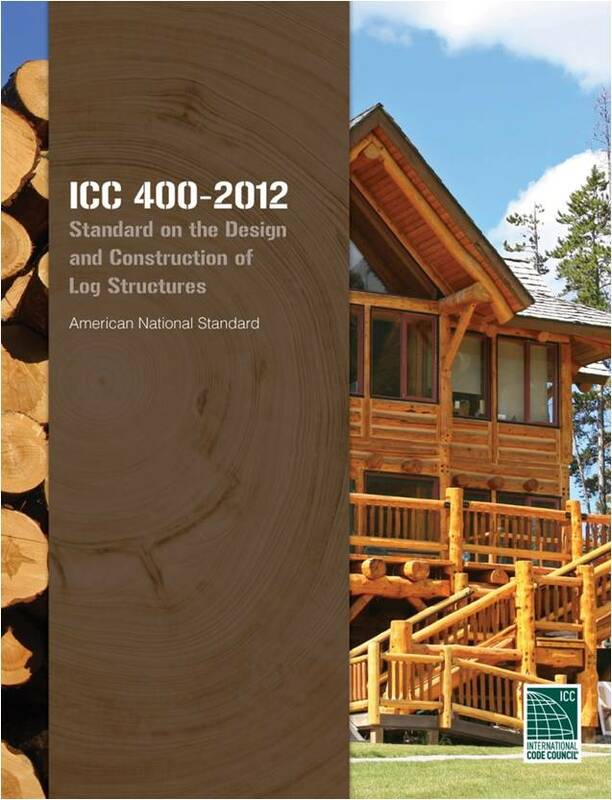 Are your log homes designed and constructed to the industry standard, ICC400? If not, they should be. Spread the Word. The International Code Council established the IS-LOG consensus committee in 2004. This committee followed ANSI consensus protocol to develop the 2007 issue of the ICC400 Standard on the Design and Construction of Log Structures. long-standing principles of wood design with traditional craftsmanship and manufactured products. It applies to any solid wood wall system formed by individual log components and does not mandate the use of a particular method or material. As an ANSI – approved consensus document, users can be assured that all interested parties had an opportunity to speak and be heard in the process of developing it. As an ICC standard, ICC400 is revised and updated every 5 years. ICC400-2012 is the current edition of the standard and is referenced in the following 2015 IRC (International Residence Code for One- & 2-Family Dwellings) sections: R301.1.1, R502.1.4, R602.1.4, R703.1, R802.1.3. Similar IBC sections relating to stress grading reference ICC400. And by footnote to Table N1102.4.1.1 (EICC 402.4.1.1), the IRC Ch. 11 on Energy Efficiency refers to ICC400 for inspection of log walls.